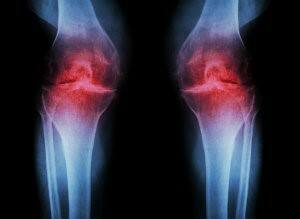 We understand it can be incredibly frustrating to have knee pain in the first place. After all, you rely on your knees for mobility and independence. Of course, it's even more frustrating when you've undergone a surgical procedure to correct the problem—either to repair damage or even replace the entire knee joint itself—and are still having issues more than six months afterwards. Unfortunately, this is a situation that can happen sometimes, just like with other surgeries. Now, before you start thinking chronic knee pain after surgery is the fault of your treating surgeon, something we want you to keep in mind is this – even the best surgeon in the world, using the best equipment and current available surgical techniques, might still inadvertently damage nerve tissue during an operation. That is something we bring up often because there is simply unavoidable risk when a surgeon has to cut through layers of body tissue to perform the procedure. Measures will always be taken to keep the odds of that happening as low as possible, but it is virtually impossible to eliminate the chance there may be some nerve damage or problems that develop during (or after) your surgery. Remember, your peripheral nerve system is a vast network that is almost like a spider-web in regard to its connectivity. The peripheral nerves are found throughout the entire body, and this makes avoiding them in surgery borderline-impossible (especially for certain procedures). At the same time, the risk doesn't always materialize and a patient will recover just fine. Before proceeding further, we have to note that you can expect to have at least some pain and soreness following any surgery you might have. This makes sense because surgery is actually an intentional trauma done to the body. After all, a surgeon has to cut through layers of body tissue to reach the anatomical site in need of correction or repair. In this case, we aren't talking about this normal postoperative pain you should expect. That kind of pain usually subsides in a relatively short amount of time. Rather, we are talking about pain after knee surgery that is both chronic and neuropathic. (Depending on your initial injury, you may even experience these kinds of symptoms before the surgery as well – particularly if the injury damaged any of the nerves leading to or from the knee). If it has been longer than six months following the procedure and you still have pain and difficulty, this is an indication of an existing problem – one we may be able to help. As with virtually any problem you encounter in life, the first step in finding a solution is determining what exactly is wrong. For pain after knee surgery, this means having your treating surgeon, knee specialist, or even primary care physician examine the affected knee. This is done to determine if everything appears to be normal from an orthopedic (structural) context. You probably should even seek a second opinion from another doctor, just to confirm that everything appears structurally-sound. If you have been experiencing severe pain outside the typical recovery period time (and your treating surgeon will have provided you with guidelines in this regard) and appropriate medical professional assure you everything appears as it should in diagnostic imaging and physical exam, then there is a high probability you have a neuropathic (nerve-related) problem, instead of a musculoskeletal one. At this point—when everyone else is saying it looks fine and are recommending pain management as the only course of action—we need to start asking what could have happened to the affected nerves. After all, you weren't always having this pain, right? Every patient's case is unique in various regards, but it is quite possible nerve tissue was damaged during the surgical procedure itself, or it had become entrapped in scar tissue during the recovery phase. There's also a chance that other body tissue (like your knee cap or a tendon) had been moved during the surgery—even if only slightly—and now is pressing against a nerve tissue. Compression like this can impair normal nerve function. Neuropathic issues such as chronic pain following knee surgery need to be addressed. When they aren't, the severe pain will persist and you risk the problem worsening over time and/or potentially becoming permanent. That may sound rather dire, but there is hope! We have techniques that may be able to help you. How do we know this? Because we've been able to help other patients find relief from severe, chronic pain following knee surgeries. There's a chance we can do the same for you. To determine whether or not we might have the right techniques for your case, we'll start with a careful medical evaluation and diagnosis to establish the core issue. A deep understanding of the problem is the starting point that allows us to establish A) if there is anything we can do and B) which specific procedures would be best for addressing it. Naturally, this will depend on the specifics entailed with your case, but we may recommend using nerve decompression, nerve transfer, nerve grafting, other nerve repair, or even removal procedures (for some nerves). An important part of this whole process—one that not every doctor actually does—is the fact that we will take the time to actually listen to you. We consider it important to understand the nature of the initial injury, the symptoms you are experiencing, and other details that provide greater insight into your condition. 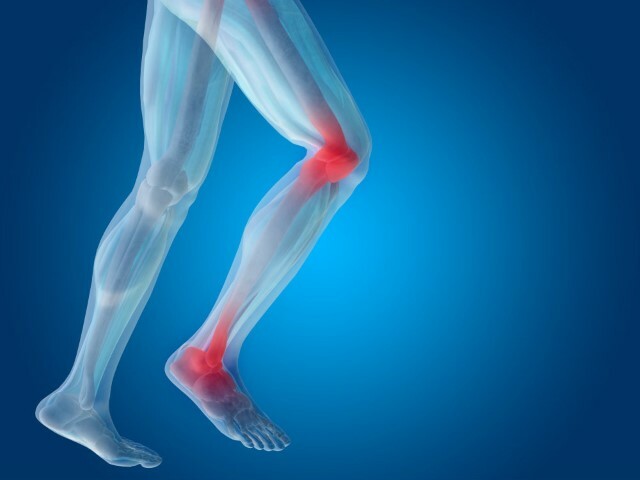 In the event you are still having pain following surgery for knee injury—or even if you've been injured and had conservative treatment that should have worked (but you still have severe and chronic neuropathic pain)—and the knee has been reevaluated by appropriate medical professionals, you should contact us for a consultation. We will discuss the problem together. If there are nonsurgical options that are available and might work for you, we will recommend them to you. For more information, or to request a consultation with our Baltimore office, simply give us a call at (410) 709-3868 and schedule an appointment that works best for you.